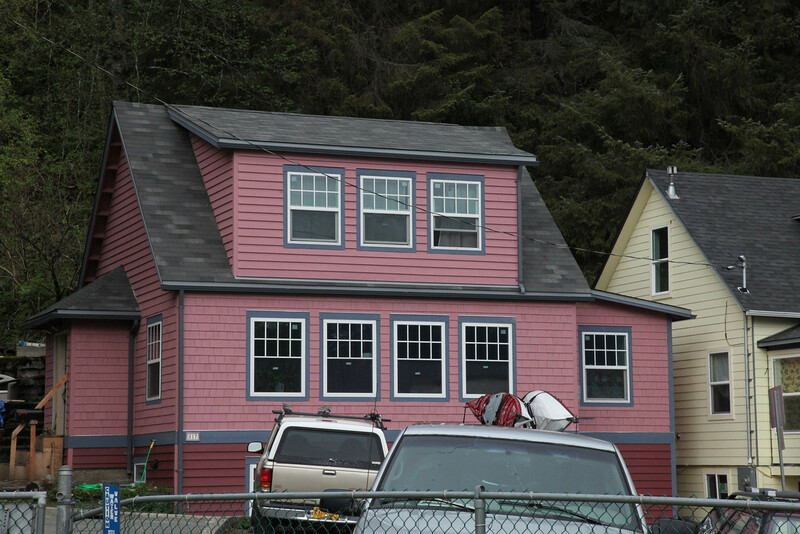 From five different kinds of paint, to cedar shingles and 12-foot planks, to cement board, Tyvek, rainscreen, cedar and Azek trim of varying sizes, and plenty of time — siding the house has been quite the saga. But now it’s all done. This puts us firmly into the final stretch. 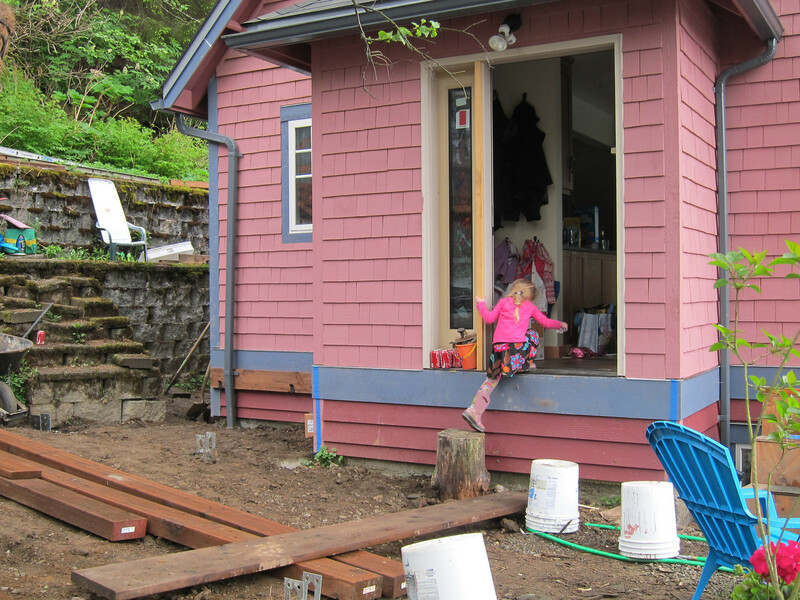 Our next major hurdle before refinance is building the deck and a proper front door entry (because apparently a stump isn’t up to code). Hooray! What a great job you’ve done. Many years of happy home life to you!!!! It’s gorgeous,I must say.Good job Family! Love you guys. Your new Pink House is beautiful!!!! Loved the picture of your stump entrance … And now you have a deck … Enjoy!! !